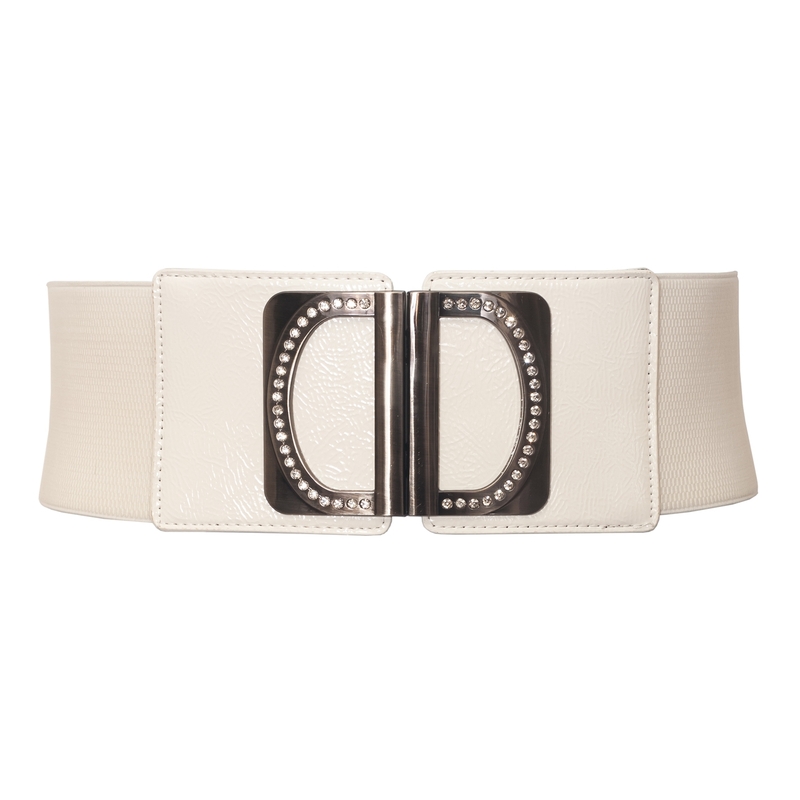 Plus size elastic belt features leatherette front panels and rhinestone studded metal buckle. Measures 4 inches thick. Put it over a halter or tee tops to give it that extra kick to your whole outfit. Beautiful belt will really help make your outfit pop. This plus size belt has a length of 36 inches and will stretch to about 46 inches.